Beat the Heat Windows is a Coppell Owned and Operated window installation company. We work with Alside, a window manufacturing company with over 65 years of innovative experience. Alside’s Mezzo Windows is the ultimate collaboration. Elegant, sleek style mixed with take-charge strength and energy efficiency. There is so much more to the windows in your home than the frame, sashes and glass. The true substance is the quality and expertise built into every step of the design and manufacturing process. At Beat the Heat Windows, we use Mezzo Windows from Alside. With Alside, you have the premier union of heritage and innovation – the promise of best-in-class materials and future-forward engineering. Alside gives us more than 65 years of industry excellence and stands strong as a legacy of leadership and trust, where customer happiness always comes first. Mezzo Meets Future ENERGY STAR ® Requirements Today! Watch a quick video to show off the many features of the Mezzo windows from Alside. If you have any questions, feel free to contact our team and we’ll try to see if these windows are the right fit for you and your home. Don’t know how your home is going to look? Take a look at this tool from Alside. 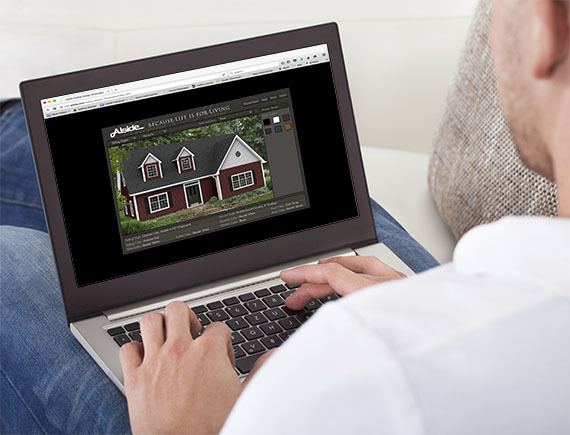 Using this Design Tool, you are able to upload a picture of your home and see how our windows will improve the look and feel of your home. Explore a collection of siding and window products , exterior accents, decorative trim, shutter colors and more with this interactive application. You can also give us a call and we’ll personally work with you to find the perfect window combination. Winter Energy Savings: Low-E insulating glass reduces heat loss by reflecting warm air back into your home. Summer Energy Savings:Low-E helps block unwanted solar heat penetration to help reduce air-conditioning usage. Our team is here to help you find the answers you need. We work with our client’s goals in mind. Whether you are a builder, renovator, or home owner, our team will make sure that your goals are met every step of the way. We have been working with the residents of Coppell since the inception of our company. Dave, happy to report of the two hottest months of this year (July & Aug) our new windows have saved us 44% in July and 46% in August compared to our bill for these two months last year. Our goal is to provide our clients with a top level of customer service. Our team of professional installers will work with the client's best interest in mind to ensure they receive the level of service they deserve.